Data for Employers by Employers. Cascade's Nonprofit Pay and Benefits survey is comprised of over 250 job descriptions and 100 benefit related questions. This survey provides in-depth market pay and benefit data stemming from nonprofit organizations throughout Oregon and Southwest Washington. Click here for 2018 Executive Summary information (participants, job titles and job descriptions, guide to report details, and much more). Register to Participate in the 2019 Nonprofit Pay and Benefits Survey! Pre-Order the 2019 Survey Results Here. ©2019 Cascade Employers Association. All rights reserved. 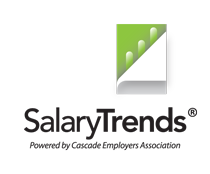 SalaryTrends® is a trademark of Cascade Employers Association.